Spent Easter with seven fresh inches. Mom and Juno hung at Coppertop at the base of Peak 9 while I skied from first to last chair (I was literally the fifth to last person back up the quad lift at 4:00 p.m.). 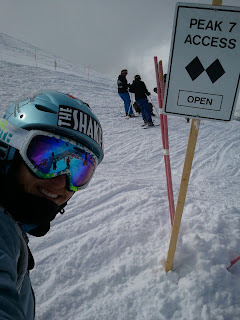 The stuff at the top of Peak 8 where the Imperial Chair drops off was killer for April - a bit heavy but knee-deep in spots, which is always good. And I picked the absolute right time to stop for lunch: I caught the last six minutes of the Sixers game, including Lou Williams' ridiculous behind-the-line three pointer to clinch the win. 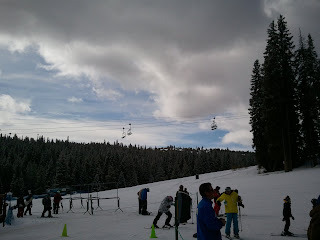 We ended the day with sweet, sweet Breckenridge brews and crashing out across the street from the lift. 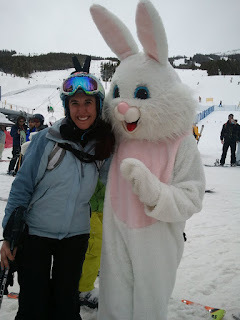 Thanks for a great season, Breck... now we move to the A-Basin beach. Before first chair, peak 9. 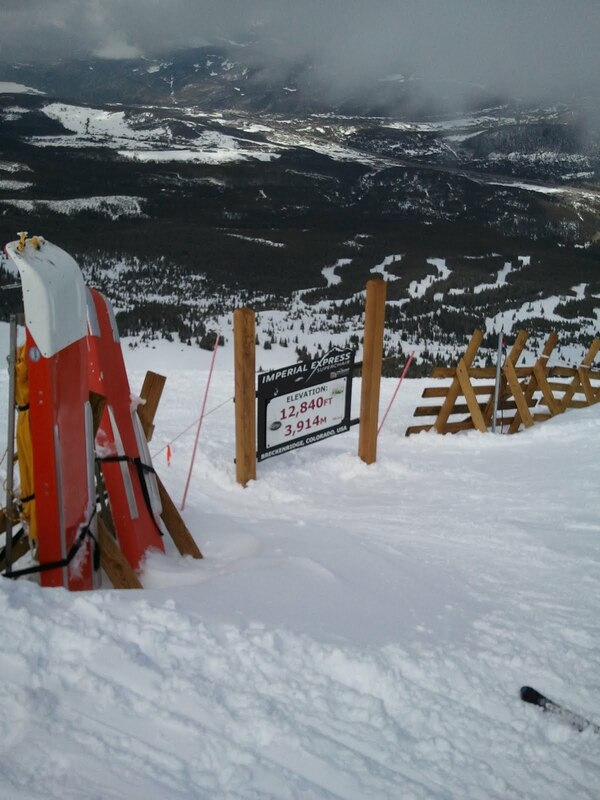 Peak 7 access point, top of peak 8, Imperial Chair. Bunny ears at the base of peak 8. 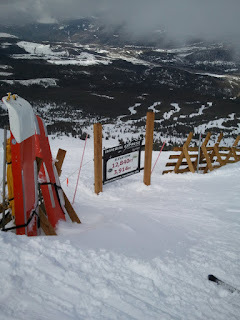 Top of the Imperial Lift, highest chair in North America. 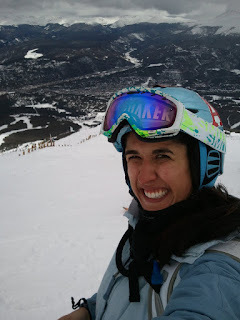 I was looking for blog posts about Peak 9 in Breckenridge to share on our site and I came across your post...If you're open to it, shoot me an email at jane(at)dwellable(dot)com.